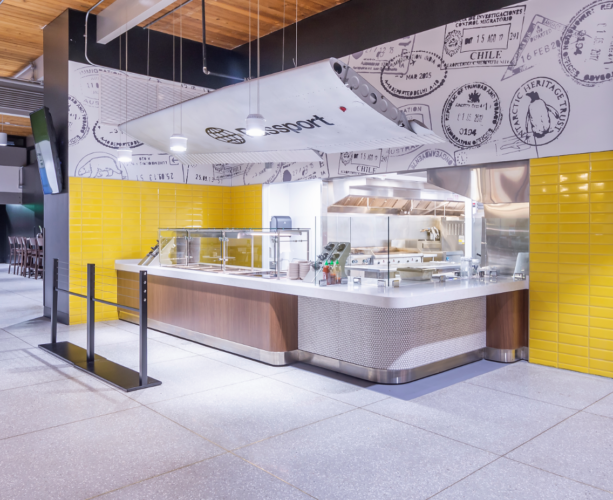 In five short months, from the end of the spring semester through the summer of 2018, Colorado State University embarked on an aggressive $11M renovation to the dining center housed between Corbett and Parmelee Residence Halls. 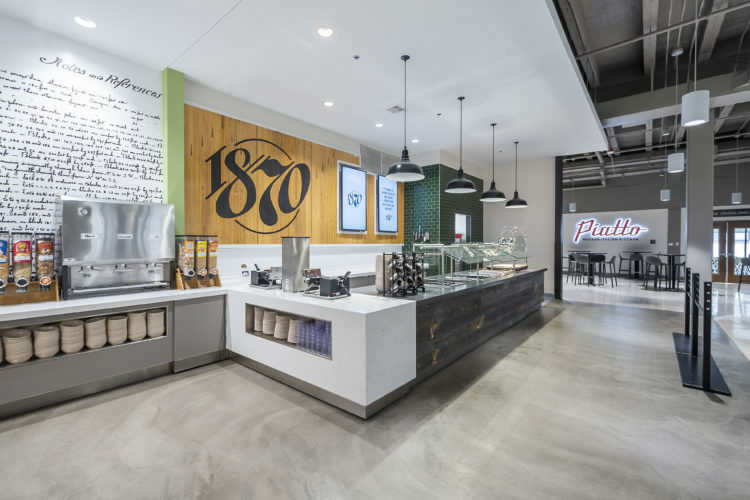 The operation, now called the Foundry, opened in time for the fall 2018 semester and, since then, has generated much excitement across campus. Why the buzz? In one word, variety. 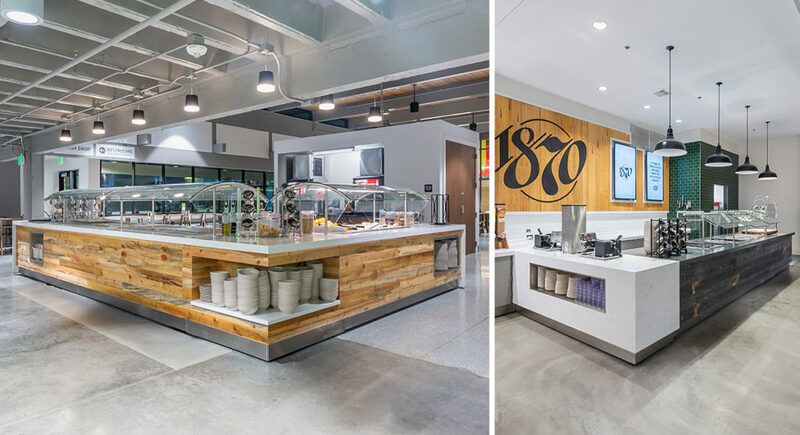 This 29,000 square foot, 600-seat food hall features: eight micro-restaurants – one being a certified kosher restaurant; a private dining room; a gluten free station; and, three beverage islands with enclosed beverage support adjacent to each station. 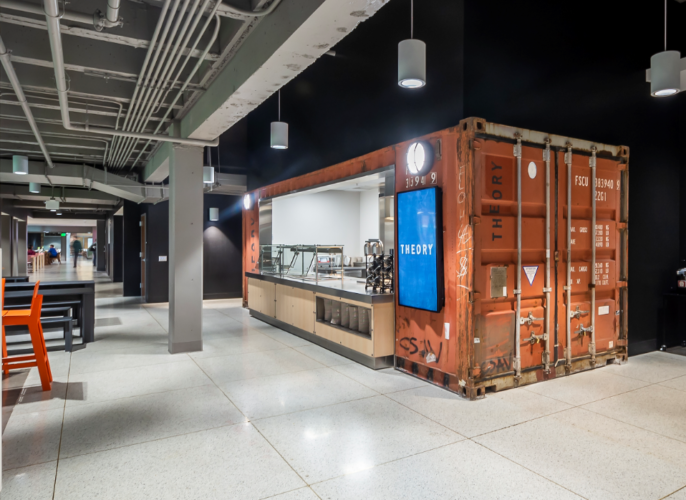 In addition, each restaurant has a unique feature, such as an actual shipping container wrapped around the street food concept, Theory; a wing from an airplane suspended over Passport, a venue serving international fare; and, repurposed bowling alley lanes as the backdrop to the 1870 comfort food station. 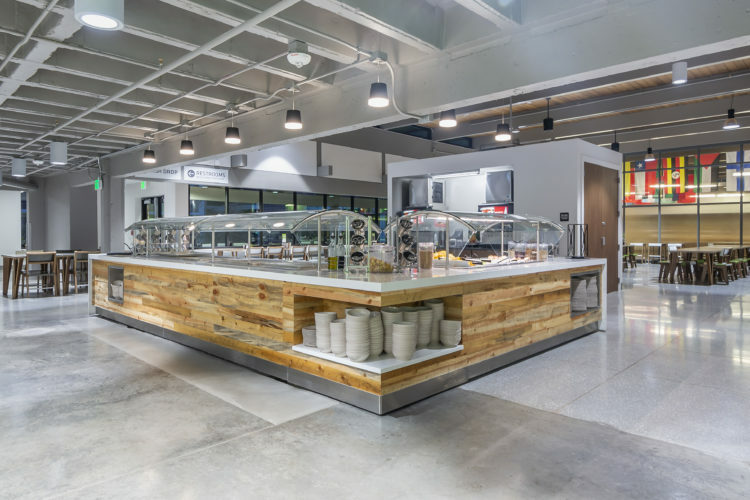 The students are enjoying the open seating areas featuring community tables, bar seats, high-top tables, wooden benches and picnic-like tables.